Barcha also offers to go orders starting at 11AM Monday - Friday. Persian style with caramelized onions, barberries, chickpeas, and harissa yogurt. Served with a choice of meat or shrimp. Barcha is available for private events: cocktail receptions, sit down dinners, business luncheons, and more. We have a variety of beautiful spaces and a banquet menu that will delight your guests. Please call 415 957 5468 to discuss how Barcha can be a part of your next event. Serving a taste of the Mediterranean. Born and raised in Paris, France, Kais Bouzidi grew up in a family of restaurateurs and began his career in the restaurant industry at the age of 14. After spending his formative years learning the inner workings of the family business from his father, Bouzidi moved from Paris to San Francisco at the age of 21. Bouzidi’s drive and ambition allowed him to realize the possibility of running his own restaurant in 2006 – he studied the San Francisco market, the location and the local food culture extensively, building the concept of what would ultimately become Sens Restaurant in October of 2007. Having traveled throughout Southern Europe and Northern Africa, Bouzidi was inspired by the flavors and cultures of Mediterranean countries and cuisines. Born to a French mother and Tunisian father, Bouzidi brings the same blending of cultural influences to the menu and ambiance at Sens. With its wildly popular happy hour, seasonal Mediterranean fare, and gorgeous patio spaces with breathtaking views, Bouzidi has successfully established Sens as a dining destination on the Embarcadero. 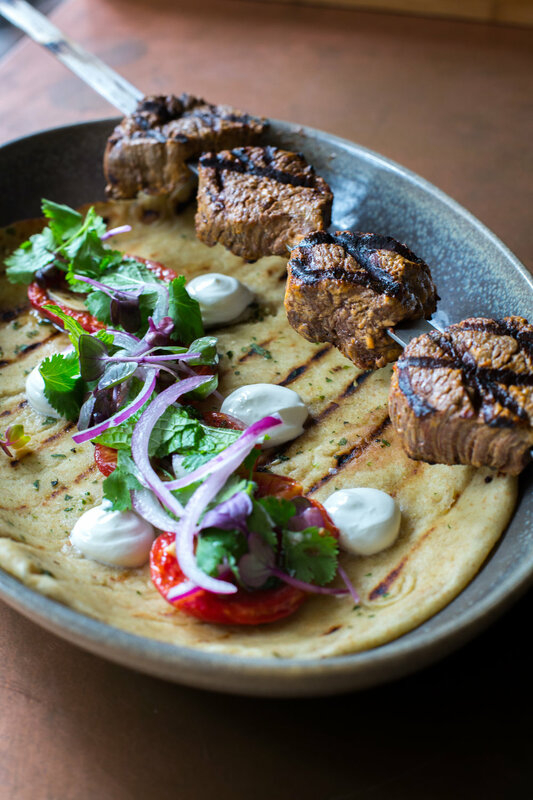 Looking to establish a second location with a similar atmosphere and menu, but with a modern twist, Bouzidi has successfully launched his newest restaurant concept, Barcha, in the 425 Market Street Building and located at 28 Fremont. Having the perfect location to satisfy corporate clientele as well as locals and tourists alike, this Mediterranean bistro with Parisian influences offers delicious fair and a chic, yet welcoming “smart casual” ambiance. With over 20 years of culinary experience, Executive Chef Michel Adams is well versed in a wide variety of cuisines with special emphasis on French, Italian, and Mediterranean dishes. Since he began at Sens in 2011, he has been responsible for the transformation and reinvigoration of the menu, contributing to the success of this favorite Embarcadero establishment. His formative years in the culinary realm began as a pastry chef, where his experience led him to partner a French Brasserie in Berkeley, and then working at number of influential dining destinations throughout the Bay Area. His strengths include using unique and rare spice combinations to create dishes that are delicate, yet rich in flavor, making him a valuable asset to the Sensand Barcha teams. 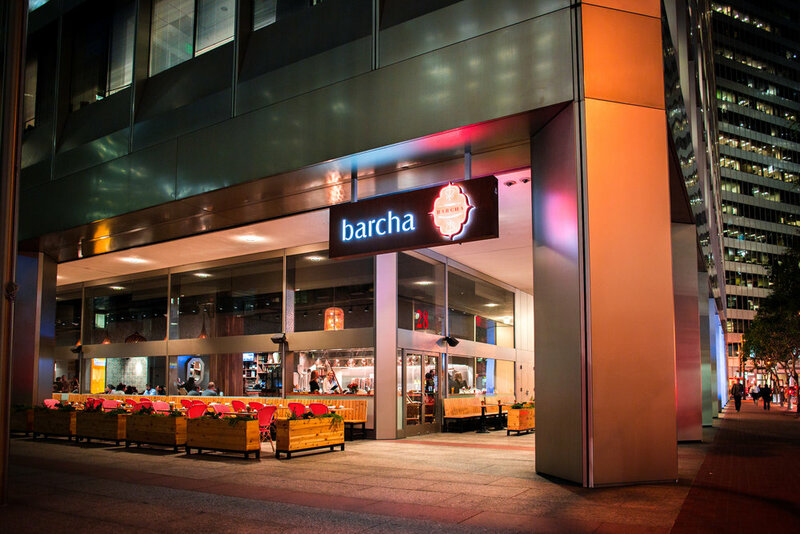 Adams serves in the Executive Chef role at both the Embarcadero’s Sens Restaurant and the team’s newest venture, Barcha in the 425 Market Street Building and at 28 Freemont, offering fresh, satisfying Mediterranean dishes for lunch, happy hour, and dinner. If you wish to cancel your reservation we ask that you notify us at least 48 hours in advance of your reservation date. Your credit card is subject to a charge of $35.00 per person if the party, as a whole, does not show up. We ask that you give us a final head count 24 hours prior to your reservation if it is different than the original party size. Sign up with your email address to receive the latest news and updates from Barcha. We respect your privacy and will never sell your information to a third party.